On June 5, we’ll celebrate World Environment Day. This year UNEP focuses on the theme Food waste/Food Loss. At Raxa Collective we’ll be carrying out actions and sharing experience and ideas. 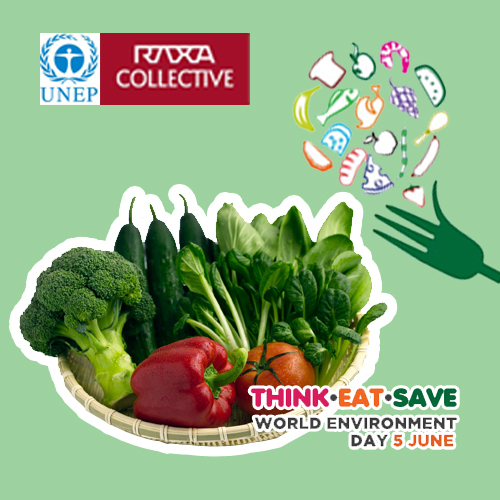 Come and join us with your ideas and tips to preserve foods, preserve resources and preserve our planet. Here is a video which explains how we save the food we produce at our restaurant All Spice at Cardamom County from wastage. Our process includes a dedicated team, talented suppliers, our farm animals and organic garden and a local pig farm. It also explains how we give back. Thanks for the reblog Mangarbani! Happy WED! I admire your work! Let’s hope that by next year, we will be at least a little closer to universal concern and care for the earth!